…because nurturing the success of extraordinary children can change the world. SUMMER CAMP REGISTRATION IS OPEN ON THE PROGRAMS AND EVENTS PAGE! EXCITING STEM-BASED CAMPS FOR ALL CHILDREN AGES 5-12. Silverleaf School provides a dynamic and supportive education experience that propels gifted learners. We provide a continuum of individualized options in an active and collaborative learning environment that prioritizes innovation and creativity. Silverleaf School offers individualized education in an inclusive setting. We support social, emotional, physical, and intellectual growth and development so students can reach for their personal best and live lives of meaning, purpose, and fulfillment. Our approach to education is particularly fitting for learners with high intellectual potential. We support their needs for differentiation, and desires for opportunities to learn without limits. Being given a place to belong can provide highly gifted children the strong sense of identity and confidence that that allows them to thrive socially. Silverleaf School offers students the freedom to demonstrate their skills, knowledge, and passions in a supportive and nurturing environment. We provide a continuum of individualized options in an active and collaborative learning environment that prioritizes innovation and creativity. Silverleaf School is the perfect environment for eager learners who have aptitudes for STEM and creative expression through the arts. Our school is particularly suited for the needs of highly gifted learners due to our ability to differentiate, accelerate, and compact instruction. We work with students and their families to determine what and how each student wants and needs to learn. We emphasize 21st-century skills through experiential project-based learning that incorporates science, technology, engineering, math, art, music, language arts, and the foundations of teamwork, stewardship, problem-solving, innovation, and creativity. Forward-thinking curriculum embeds essential robot-proof skills. Individualized proficiency-based learning in an inclusive setting. When students have high quality experiences, they demonstrate deeper learning outcomes. Building awareness and support for the gifted community through education &, advocacy. 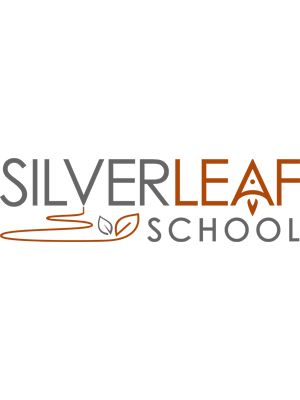 Silverleaf School is a non-profit corporation dedicated to offering a dynamic and supportive education experience that propels young gifted learners. © Copyright 2017 - | Silverleaf School | All Rights Reserved | Silverleaf is an equal opportunity employer/school and does not discriminate on the basis of race, color, religion (creed), gender, gender expression, age, national origin (ancestry), disability, marital status, sexual orientation, or military status, in any of its activities or operations.